Now on display at the Bridgewater Public Library, a rare collection showcasing a Bridgewater resident that served in the 54th Massachusetts Regiment. Be sure to check out our display cases on the mezzanine of the Bridgewater Public Library. We are featuring Lewis L. Simpson, 54th Massachusetts Regiment. Mr. Simpson was a Bridgewater Resident for over 58 years and served in the 54th Massachusetts Regiment for the duration of the Civil War. 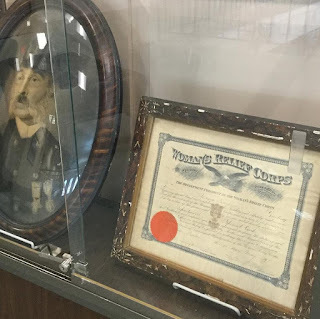 The collection includes his portrait, 54th Massachusetts Regiment Certificate, Discharge papers, and medal from the Grand Army of the Republic.